From the outside in, there are ways to spruce up your space. Lighting the Way: You wouldn’t settle for dim and dull lighting in your bathroom, so why is your garage any different? By updating your inner illumination, you can alter the space with the flip of a light switch. Don’t forget about the exterior lighting as well. The sconces that surround your garage door are like curtains on a window and can alter your look with an easy switch. A place for everything, everything in its place: Taking the time to organize your garage items, will make your daily life so much easier! Whether you arrange items by season or use, make it work for you! All sizes of large bins will help keep smaller items such as sports equipment and tools together. Use clear bins or labels so you’re not searching within the bins for what you need. Hooks and shelves will also keep the space looking neat and organized. Walls with style: Painting your garage is a great way to brighten your garage world! While an interior paint is OK, you may want to use an exterior paint for your interior garage walls as it has properties more conducive to the environment. A shade of white is always a great option to lighten up your space. Don’t forget the floor: Make sure to regularly clean your floor with a good old-fashioned broom and power wash. Lots of dirt collects in this indoor/outdoor space, which can be tracked into your home. Also, it may be time to resurface your floor if it is especially worn out. 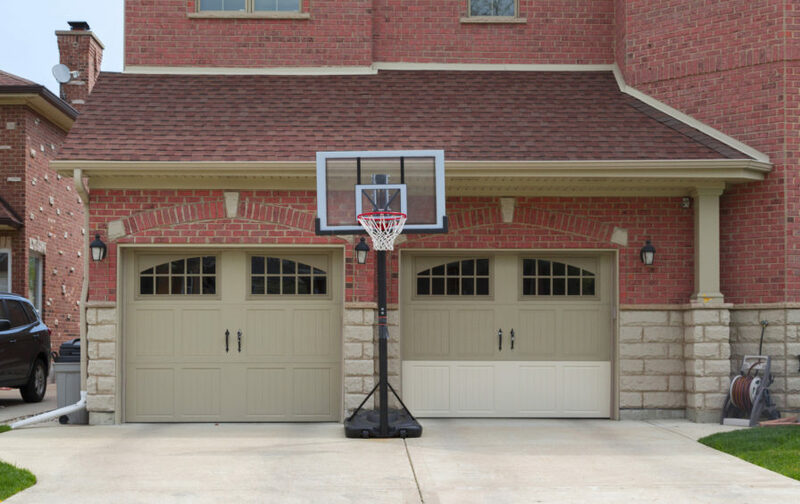 The biggest upgrade you can make to your garage is a new door! It is such a prominent part of your curb appeal that a new door will definitely get noticed. At Affordable Garage Door Inc., we have the complete Clopay line that offers a variety of looks to fit your home and style. Canyon Ridge Collection Ultra Grain Series: These insulated carriage house doors have faux wood and Ultra-Grain® steel. Coachman Collection: These may look like wood, but they have layers of low-maintenance style to offer beauty and durability. Cypress Collection: These are for the contemporary and mid-century modern homeowner. Classic Wood Collection: Raised, recessed and flush panel offerings in natural wood make up this collection. Find Your Style at Affordable Garage Door Inc.
We are ready to work with you on a new garage door! Stop by and see us at 1250 West 1180 Lane in Lowell, call us at 219-696-4279, email us at info@affordabledoorinc.com or fill out our online form. The information on this website is for informational purposes only; it is deemed accurate but not guaranteed. It does not constitute professional advice. Testimonials are not a guarantee, warranty or prediction of what your experience with us will be. *Promotions and offers cannot be combined with any other offer or applied to previous service. Restrictions Apply. By providing certain contact information herein, you are expressly authorizing the recipient of this message to contact you via the methods of communication provided.